Genome Medical is introducing a new and improved Understand Your Genome® (UYG) program, and we look forward to building upon the success of the program started by Illumina. Our goal is to drive increased access to genomics education by making it available in multiple formats and settings: from online e-learning courses to select live events. And our clinical genetic experts will lead the way in helping individuals make informed decisions about genetic testing and their genetic health. We are the first nationwide medical practice focused on genetics and genomics. We help individuals navigate their genetic health and genetic testing options, as well as integrate the results of genetic testing into their health management. We have one of the largest networks of clinical genetics experts in the country, and they are accessible through virtual (phone or online video) consultations. Appointments are often available within 24-48 hours. Genome Medical’s co-founders are industry leaders Lisa Alderson, Randy Scott, PhD, and Robert C. Green, MD, MPH. Learn more about our team. We are privately funded by investors including Canaan Partners, Illumina Ventures, GE Ventures and Kaiser Permanente Ventures. Interested in whole genome sequencing or a specific type of genetic test, or just curious to begin your genetic exploration? 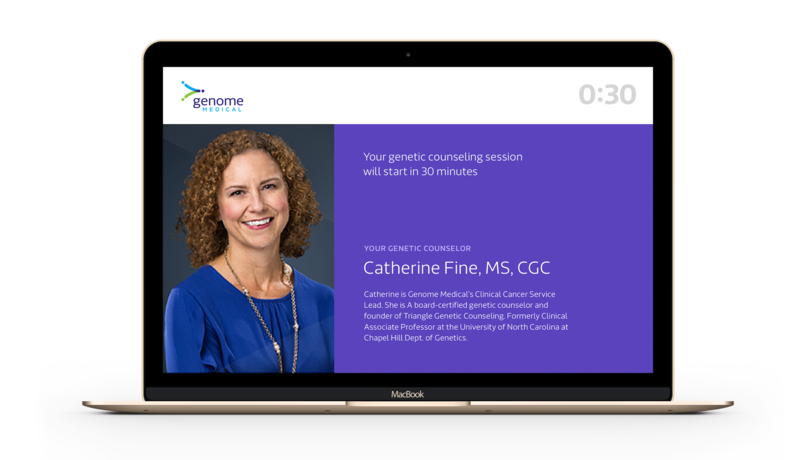 Genome Medical is hosting two “meet and greet” UYG events in the upcoming months and is developing a new series of online educational programs. To get details and notifications about UYG news and events, please complete the fields below. Did you know that Genome Medical works with employer organizations to create custom genetic health programs? From education to access to genetic testing and sequencing, we can create something that meets your company’s needs and your employees’ interests. Learn more. Genome Medical has more than 40 genetic experts in our network, including genetic counselors and medical geneticists from leading institutions. They offer clinical expertise in cancer genetics, cardiovascular genetics, reproductive health, pediatric genetics and proactive health screening. Meet our clinical team.